In my Birthday party magic show, I have one goal: to make the special birthday child feel special. Most kids want to be a magician, and if not, a magician's helper. I use the birthday child as my helper, so he/she becomes the center of attention. If the birthday child is shy, I can use other kids for a couple of tricks, after which the birthday child will feel comfortable helping. This means plenty of good photo opportunities for the birthday child on stage. 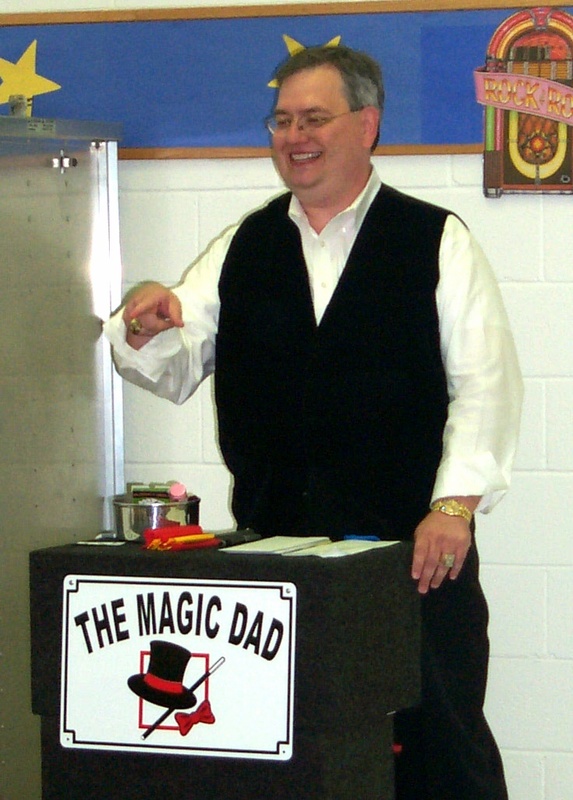 Most of the tricks have a "Happy Birthday" theme, so the show is different from my traditional magic shows. I can also adjust the tricks to fit the age of the child and the audience. I do a different show for someone five than for someone nine years old, completely different. And I have enough props to do three different shows for any age group, so you won't worry that the kids have seen this show several times! Lastly, I can also do some balloon crafting, which is especially good for younger kids. I can make a special hat or animal for your child (or all the children) out of balloons. I can design a show which will fit your needs and the expectations of the special kids. Want to get started in Magic?